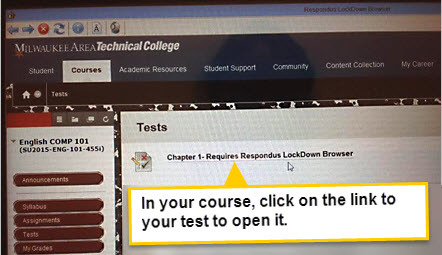 Some instructors require students to take online tests in Respondus LockDown Browser. This is a special type of web browser meant for delivering online tests in a proctored environment. LockDown Browser prevents you from printing, copying, and going to other websites or programs while you complete a test on a desktop or laptop computer. Where Can I Access LockDown Browser? All Academic Support Center computer labs are equipped with the latest version of the "Lab Edition" of LockDown Browser. However, you may install the "Student Edition" of LockDown Browser on your own desktop or laptop comptuer for taking protected tests off-campus. How Do I Install the "Student Edition" of LockDown Browser on My PC? Review the system requirements and Quick Start Guide. Use the provided download link to install the program on your Windows or Mac PC. If you have trouble with installing or using the program, please review the LockDown Browser Knowledge Base and trouble-shooting tips. How Do I Take a Test in LockDown Browser? When you are ready to take your test, follow these instructions. What Do I Do If My Test Asks for a Password? 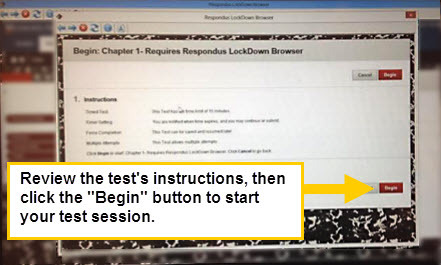 You are using LockDown Browser to access the test - not Internet Explorer, Firefox, Chrome, or Safari. 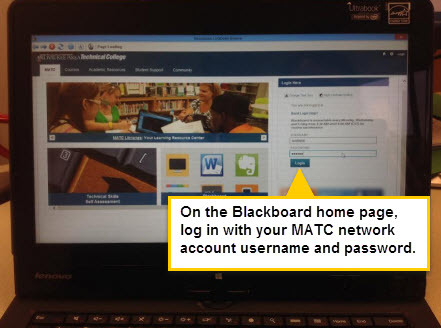 You are using an up-to-date version of LockDown Browser - check your version for updates.